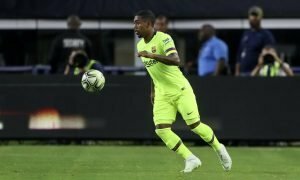 European giant ready to sell Arsenal and Man City midfield target | The Transfer Tavern | Where football transfer rumours fly or die! 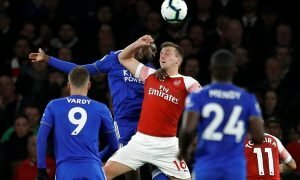 Punters in the Transfer Tavern are anticipating a war-zone, after it was revealed a European giant is preparing to cash-in on a midfielder that title rivals Arsenal and Manchester City are both chasing. Spanish media outlet El Confidencial state Real Madrid are ready to offload Isco, who has attracted vast interest from the Premier League- including that of the two title-rivals. Isco has struggled to nail-down a regular starting spot at the Santiago Bernabeu since arriving from Malaga, where he previously worked with Manchester City boss Manuel Pellegrini, and Los Blancos are ready to accept his departure. The report states Real Madrid are ready to listen to any offers, whilst also suggesting that Florentino Perez is ready to offload any member of the squad– excluding Welsh wizard Gareth Bale. This news will alert both Arsenal and City, who have held long-term interest in the player, whilst sides across Europe will have had their attention grabbed by the sensational developments concerning the remaining members of the squad. Our landlord believes Isco would be perfect for Arsenal, identifying the young Spaniard as the perfect long-term replacement for compatriot Santi Cazorla. Arsenal fans, is Isco the ideal signing? Let us know in the comments below!